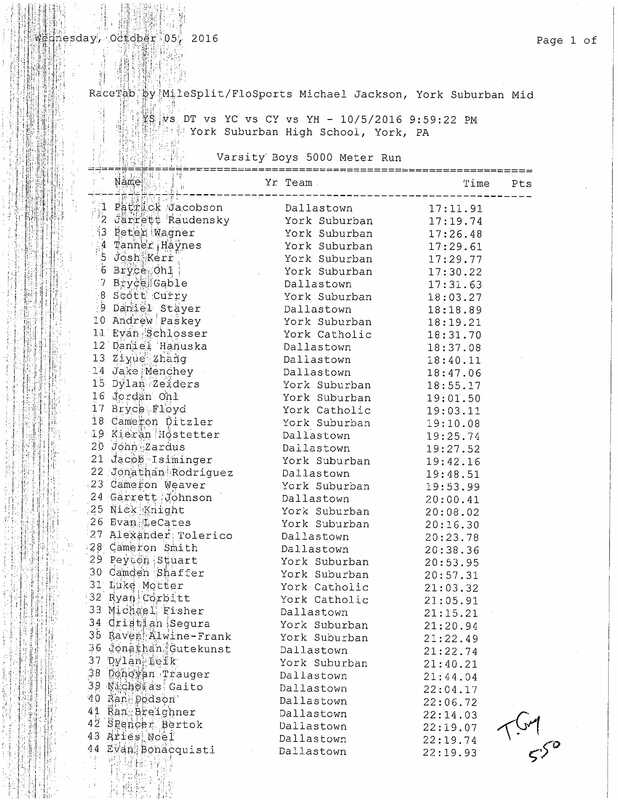 Dallastown's Patrick Jacobson wins in 17:11.91 but York Suburban swept the Wildcats and York Catholic at home. 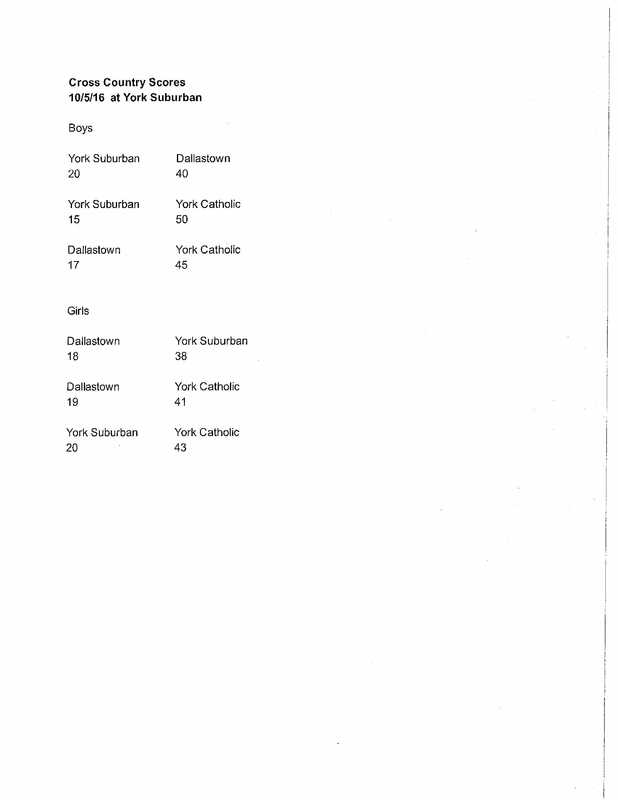 Click here for individual results and here for team results. Dallastown's Emily Schuler finishes first in 19:34.26 leading the Wildcats to a sweep of York Suburban and York Catholic at Suburban. The loss was the Trojans first since 2007. Click here for individual results and here for team results.